Yearbook classifieds for Bolingbrook High yearbooks are listed below. If you want to see if others from Bolingbrook, IL high schools want to make a trade for a yearbook, post your info below. Bolingbrook High School alumni can relive their experiences from high school by sharing memories and pictures, reconnecting with those alumni listed, and more. I am looking for 1991 and 1993 yearbooks. 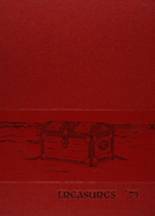 Any yearbook from 1984-1988. My primary choice is the 1988. DOES ANYONE HAVE A YEARBOOK PHOTO OF OUR 1983 YEARBOOK AS WE WERE FRESHMAN'S. IF SO WILL YOU PLEASE EMAIL ME A PHOTO OF MYSELF AND ALSO OF YOURSELF? THANK YOU IN ADVANCE. I've been wanting to find this yearbook forever. I'd ordered one in 1985 (sophomore year), but moved away, and it never was forwarded to my new address. If anyone has a copy they'd like to sell or give away, I'd be very happy! 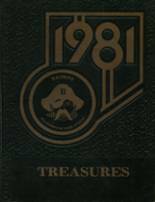 I am looking for a 1985 Yearbook from Bolingbrook High School. My sister was a freshman and she wanted to have a copy. actually looking for 1977, 1978, 1979 and 1980, lost all of mine somehow. I need a 1979 yearbook. Someone still has mine and I don't know who. If you have it, cough it up!!!! 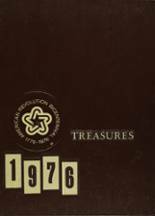 I'm looking for a 1979 Yearbook. I lost all of mine with too many moves. I would love to purchase, if someone has one to sell. Thanks so much. Diana. Can We look at it, On Line ?